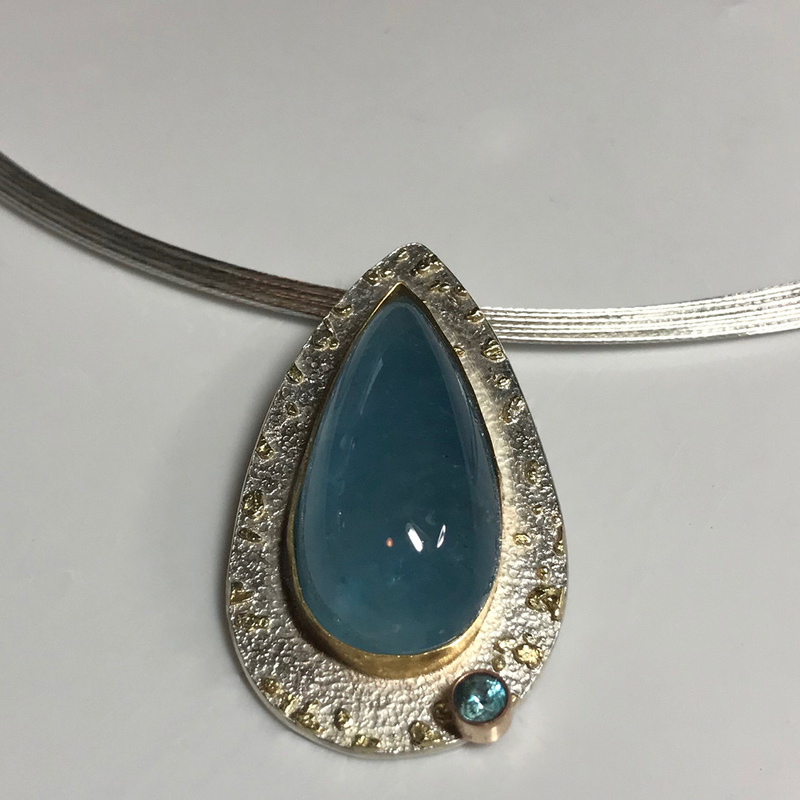 This Aqua cab has been made into a beautiful pendant surrounded by a 22k gold bezel and gold sprinkles. It has an Aqua brilliant at the bottom to add sparkle. Sold.